Your Grandmother is an important figure in your life, so wish her happy birthday with this lovely card. 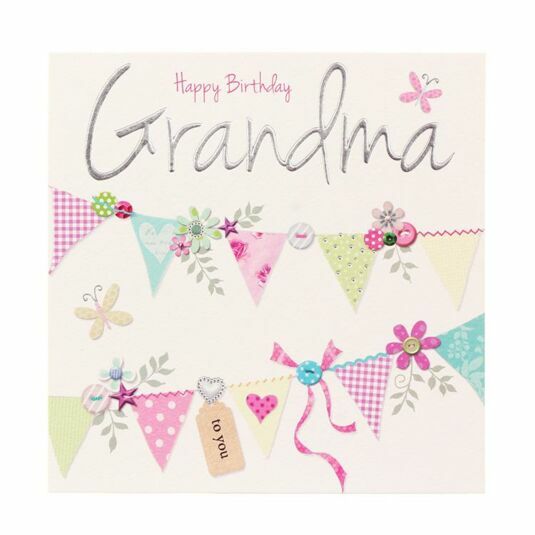 The front of the card is decorated with beautiful ribbons and flowers on a line, with butterflies fluttering around, whilst the words ‘Happy Birthday Grandma’ are written above these images in a combination of beautiful fonts. You may, of course, add your own touches to our message. This makes an amazing gift for your grandmother on her birthday, and is sure to bring a smile to her face!